book launch for my covered bridge book! I hope you can join me for the launch of my new poetry book ‘in the shelter of the covered bridge’ (Chapel Street Editions, 2017). The launch will be at Westminster Books in Fredericton on December 2, 2017 at 2:00 in the afternoon. Anyone who buys one of my books will be entered in a draw to win one of my paintings. This painting (11″ x 14″, ‘apple orchard green’, acrylic, gallery edges) is a companion to the painting on the cover of my book. Hope to see you there. For those of you so far away, perhaps there is a book reading in your own area to attend. Horray! I’ve reached my 500th follower! Thanks for all those who entered my book draw by leaving a comment on the past few posts. I will be drawing for the winner of my new book ‘in the shelter of the covered bridge’ at my reading on November 23 at the Authors Coffee House in Nasonworth. I’ll announce the winner on Friday, November 24! Holding this contest has been fun. I’ve had more comments than usual and I will be delighted to give my book to one of my readers!!!! 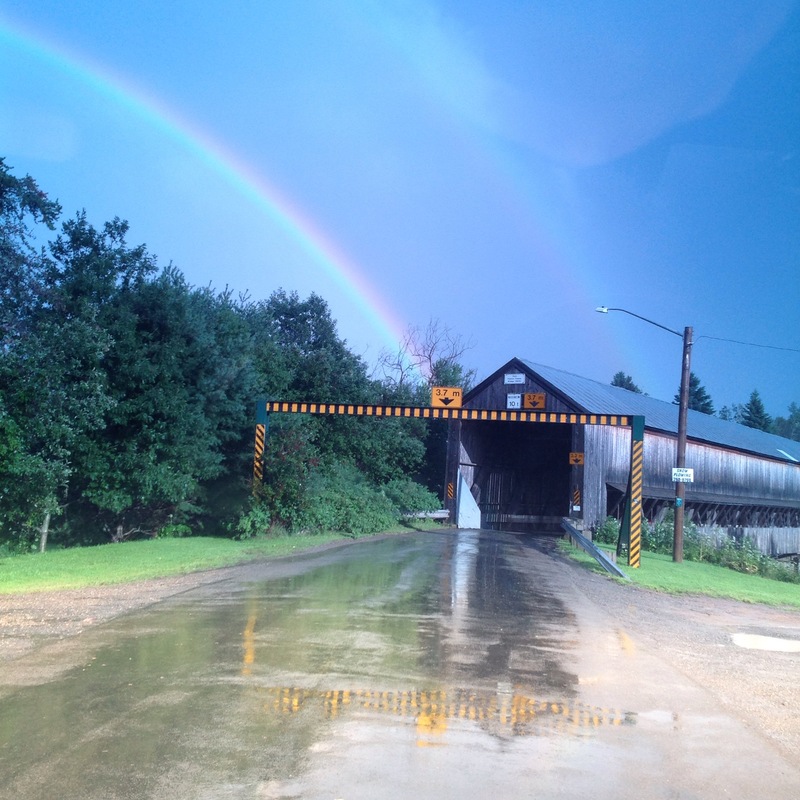 I have covered bridges on my mind … this great view of our Patrick Owens Bridge in Rusagonis, taken last summer on a drive home through the rain!